Use the computer and its graphic equipment to help designers to design work. Referred to as CAD. In engineering and product design, the computer can help designers to undertake computing, information storage and mapping work. In the design of the computer is usually used to calculate a large number of different programs, analysis and comparison to determine the optimal program; a variety of design information, whether digital, text or graphics, can be stored in the computer’s memory or Can be quickly retrieved; designers usually start with the sketch design, the sketch into the work of the heavy work can be handed over to the computer to complete; use the computer can be edited with graphics, zoom, zoom, pan and rotation The graphics data processing work. In the 1950s, the first computer graphics system was born in the United States, and a passive computer-aided design technique with simple drawing output was introduced. 60 years of the beginning of the CAD surface technology, the middle of the introduction of commercial computer graphics equipment. In the 1970s, the complete CAD system began to form, the late appeared to produce realistic graphics raster scanning display, introduced a manual cursor, tablet and other forms of graphical input devices, and promote the development of CAD technology. 80 years, with the powerful ultra-large scale integrated circuit made of microprocessors and storage devices, engineering workstations come out, CAD technology in the gradual popularization of small and medium enterprises. Since the mid-80s, CAD technology to the standardization, integration, intelligent direction. Some standard graphical interface software and graphics functions have been introduced for the promotion of CAD technology, software migration and data sharing has played an important role in promoting the system structure from the past a single function into a comprehensive function, there has been a computer-aided design and support Manufacturing technology, network technology, multi-processor and parallel processing technology in the application of CAD, greatly improving the performance of CAD systems; artificial intelligence and expert system technology to introduce CAD, the emergence of intelligent CAD technology, the CAD system to solve the problem greatly enhanced, the design process more automated. CAD has been widely used in architectural design, electronics and electrical, scientific research, mechanical design, software development, robotics, garment industry, publishing industry, factory automation, civil engineering, geology, computer art and other fields. The basic technology mainly includes interactive technology, graphics transformation technology, surface modeling and solid modeling technology. In computer aided design, interactive technology is essential. Interactive cad system, refers to the user in the use of computer systems for design, people and machines can exchange information in a timely manner. The use of interactive systems, people can think, side proofing, edge modification, at any time from the graphical terminal screen to see each step of the operation of the display results, very intuitive. The main function of the graphic transformation is to associate the user coordinate system with the coordinate system of the graphic output device; to translate, rotate, zoom, and transform the graphics; to realize the graphic transformation through the matrix operation. Solid modeling (Solid Modeling) is the key technology of establishing 3D solid model in computer vision, computer animation and computer virtual reality. Solid modeling technology refers to the description of the geometric model of the shape and attributes of information coexist in the computer, the computer generated with a realistic visual 3D graphics technology. It is usually based on an interactive computer system with graphical functions. The main devices are: computer host, graphic display terminal, tablet, plotter, scanner, printer, tape drive, and all kinds of software. Engineering workstations generally refer to a single-user interactive computer system with super minicomputer functionality and 3D graphics processing capabilities. It has a strong computing power, with the standard graphics software, a high-resolution display terminal, you can work together in the sharing of resources on the LAN, has formed the most popular cad system. Personal computer (pc) system is cheap, easy to operate, flexible use. 80 years later, pc machine performance is constantly refurbished, the rapid development of hardware and software, coupled with graphics cards, high-resolution graphics display applications, and pc machine network technology development, by the pc system has become a large number of cad system, and was rising trend. In addition to the computer host and general peripherals, the computer-aided design mainly uses graphical input and output devices. Interactive graphics system is particularly important for cad. The general function of the graphical input device is to send the coordinates of the points on the plane to the computer. Common input devices are keyboard, light pen, touch screen, joystick, trackball, mouse, tablet and digitizer. Hard copy devices are often used as graphical display of ancillary equipment, it copies the image on the screen in order to save. There are three commonly used graphical displays: directed beam display, memory tube display, and raster scan display. Directional beam display application of the earliest, in order to make the image clear, the electron beam must continue to redraw the graphics, it is also called refresh display, it is easy to erase and modify the graphics, suitable for interactive graphics means. The storage tube shows that the saved image needs to be refreshed, so it can display a lot of data and the price is low. Raster scanning system can provide color images, image information can be stored in the so-called frame buffer memory, the image resolution is higher. In addition to the computer’s own software such as the operating system, compiler, cad mainly use interactive graphics display software, cad application software and data management software class 3 software. Interactive graphics display software for graphics display of the window, editing, viewing, graphics transformation, modification, and the corresponding human-computer interaction. Cad application software to provide geometric modeling, feature calculation, drawing and other functions to complete the various fields for the specialized design. The four elements of building application software are: algorithm, data structure, user interface and data management. The data management software is used to store, retrieve and process large amounts of data, including text and graphics information. To this end, the need to build engineering database system. It has the following characteristics compared with the general database system: the data type is more diverse, the design process of complex physical relations, library values ​​and data structures often change, the designer’s operation is mainly a real-time interactive processing. (2) simple design changes and version control functions. (3) the design of the standard components automatically generated. (4) whether the design meets the requirements and the actual rules of the test. (5) no need to establish a physical prototype design simulation. (6) automatic design of assemblies (a bunch of parts or other assemblies). (7) the output of engineering documents, such as manufacturing drawings, bill of materials. (8) Design the direct output to the production equipment. (9) to the rapid prototyping or rapid manufacturing of industrial prototype of the machine’s direct output. Mainly used for the design of the standardization and standardization of a high degree of product. The working principle is to have the stereotypes of the product into a graphic graphic information into the computer. At the time of design, enter the necessary information according to the order requirements, and automatically retrieve the best standard graphic after the computer has made the necessary calculations. Human-computer interaction CAD system works generally as follows: the designer according to their own knowledge and experience to determine and describe the design model, and then by the computer with a large number of related products to retrieve the data and the relevant data and formula for high-speed Computing; through the sketch and standard map display, the designer use the experience accumulated in the long-term work to analyze, with the keyboard or mouse and other input devices, man-machine dialogue directly to the graphics in real time to modify the computer according to the instructions to respond, Reorganize the display, repeat the cycle, and gradually improve. At this stage, the application of artificial intelligence is mainly reflected in the way of expert system, that is, the expert system and the original CAD system organically combined. The expert system is a computer software system that enables the computer to use the expert’s expertise and reasoning to determine the ability to design the work. In the intelligent CAD system, the expert system takes on the judgment that needs to rely on knowledge and experience to make reasoning, mainly including design process decision (to solve the design problem), design technical decision (to solve the specific technical problems encountered in the design decision) and Various results evaluation. And some of the problems that can be described by mathematical models are solved by the usual CAD-aided design system. AutoCAD is the world’s leading 2D and 3D CAD design software, is the first time in the United States Autodesk produced in 1982, automatic computer-aided design software for two-dimensional drawing, detailed drawing, design documents and basic three-dimensional design. Has now become the world’s most popular drawing tools. The .dwg file format becomes the de facto standard format for 2D drawings. AutoCAD has a good user interface, its multi-document design environment, so that non-computer professionals can learn very quickly. AutoCAD has a wide range of adaptability and good compatibility, can be in a variety of PC systems and workstations running, and supports the resolution from 320 × 200 to 2048 × 1024 a variety of graphics display devices more than 40 kinds, and digital and mouse More than 30 kinds of plotters and printers dozens, which created the conditions for the popularity of AutoCAD. MicroStation is an international and AutoCAD two-dimensional and three-dimensional CAD design software, the first version by the Bentley brothers in 1986 to complete the development. Its proprietary format is DGN, and compatible with AutoCAD DWG / DXF and other formats. MicroStation is the base platform for solutions in the areas of architecture, civil engineering, transportation, processing plants, discrete manufacturing, government, utilities and telecommunications networks. MicroStation has a very strong compatibility and scalability, you can through a series of third-party software to achieve many special effects. Such as TurnTool and other third-party plug-ins, you can directly use MicroStation released online three-dimensional display case. CAD design software will provide some models, but more models need to be downloaded from the Internet. But if the enterprise has a variety of CAD system parallel situation, then you need to configure a unified, cross-platform capabilities with the parts of the data resource library, the standard parts library and purchased library model data in CAD original data format to In the three-dimensional configuration system, such as mainstream Autodesk Inventor, SolidWorks, CATIA, SolidEdge, Pro / E, AutoCAD, UG NX, Onespace, etc., to help designers to complete the design work to improve efficiency. 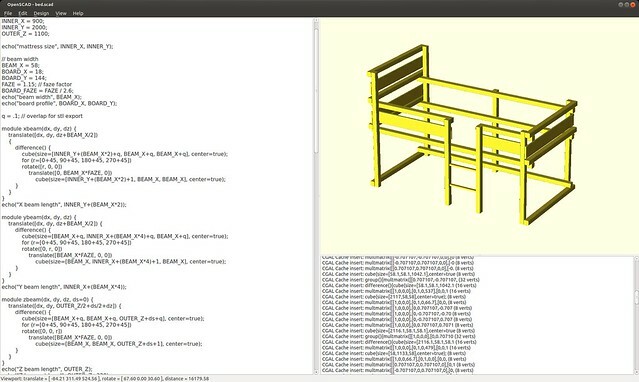 The Internet-based PLM component data resource platform, the PARTcommunity, builds a large and rich 3D model, known as the “Component Library” or “Data Warehouse”. The computer’s own cad is designed to automate or semi-automate the design and development of the computer itself. The research includes automation of functional design and automation of assembly design, involving computer hardware description language, system level simulation, automatic logic synthesis, logic simulation, microprogramming automation, automatic logic partitioning, automatic placement and routing, and corresponding interactive graphics systems and engineering databases system. The integrated circuit cad is sometimes included in the scope of computer design automation. The benefits of CAD include reduced product development costs, increased productivity, improved product quality, and accelerated time-to-market for new products. The use of CAD systems to improve the final product, subassembly and visualization of components to speed up the design process. CAD software improves accuracy and reduces errors. CAD systems make the design (including geometry and size, bill of materials, etc.) document easier and more stable. With CAD software, it is easy to reuse design data and best practices.